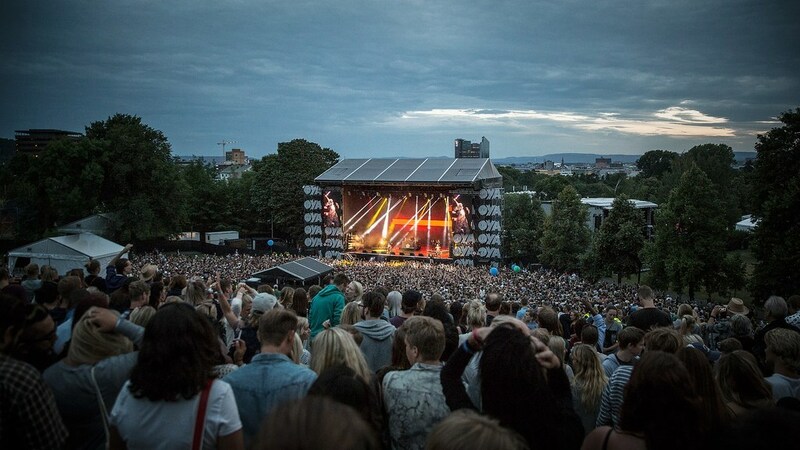 The Øya festival pledges to use the ‘Fossil Funds Free’ logo, according to their sponsorship coordinator Ingrid Kleiva Møller. To avoid 2 degrees of global temperature rise and disastrous climate change, the oil industry has to be resigned to history within the next few decades. We want to run our business in an environmentally responsible way, therefore accepting funding from those who make money from increased CO2 emissions is out of the question. Maja S. K. Ratkje, Norwegian artist and member of Stopp oljesponsing av Norsk Kulturliv (‘Stop oil sponsorship of Norwegian culture’), the group coordinating the action call from Norway, is excited about the news and the headlines it will make. That the Øya festival signs this commitment is big news both in Norway and abroad. To be sponsored by a company is to be part of their PR campaign, and functions as a mutual agreement between two parties to build each other’s brand. Right now a big global shift away from fossil fuels is underway, and the industry is trying to buy themselves more time and goodwill by clinging on to our cultural institutions. We, as cultural workers and institutions, have nothing to gain from being associated with an industry that does everything it can to profit from destroying our future and whose business plans are far beyond the emissions budget of the 2 degree target. Stopp oljesponsing av norsk kulturliv is a non-profit group of cultural workers who are tired of extractive industries buying a social licence to operate by sponsoring culture, sports and education in Norway. The fossil fuel industry buy their way into our core areas of growth and development to better their own sullied public image. The group was started in 2013, and works actively to end the relationship between the fossil fuel industry and the cultural sector.